SAE 10 (T.Q.) 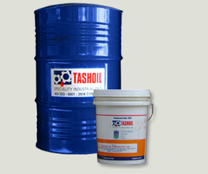 – Industrial Oils :: Tashoil Company Pvt. Ltd.
SAE 10 (T.Q.) is specially formulated for hydro - kinetic turbo transmission and industrial torque converters. It possesses high oxidation stability, anti-foam, anti-rust and EP properties. It is normally used in transmission system.